The Peoples Democratic Party (PDP) Presidential Campaign Council has suspended its presidential campaign for three days in protest of the suspension of the Chief Justice of Nigeria, Justice Walter Onnoghen. This is contained in a statement issued by the National Chairman of the party and Co-chairman of its Presidential Campaign Council, Mr Uche Secondus, on the party’s twitter handle @officialPDPnig on Saturday. Secondus said that the suspension of its campaign activities was in solidarity with Nigerians in collective rejection of the assault against democratic order. 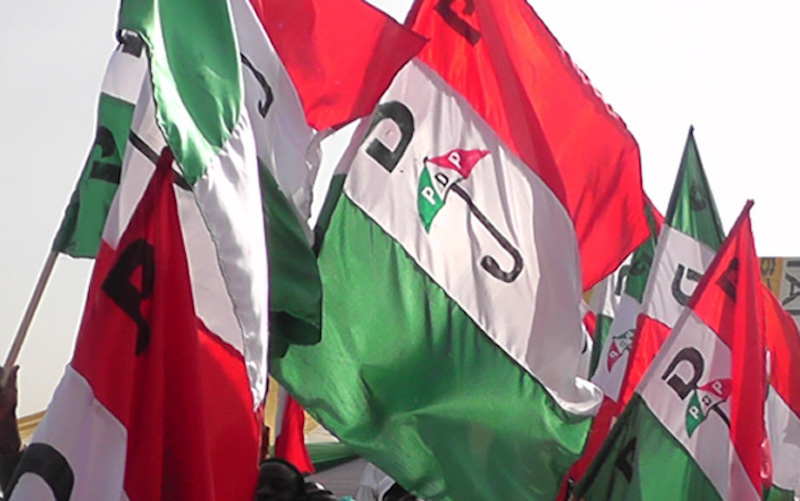 The PDP Presidential Campaign was scheduled to be in Benue State on Saturday. He, however, stated that the party was suspending its campaign activities for a period of 72 hours in the first instance. “In the first instance, we are suspending our campaign for 72 hours. “It is our hope that President Muhammad Buhari will listen to the voice of all lovers of democracy the world over and restore democracy in Nigeria immediately and without qualifications. “We call on all well-meaning Nigerians to rise in defense of democracy and save our nation from this imminent slide into tyranny,” Secondus said. Buhari on Friday suspended Onnoghen, pending the completion of his trial at the Code of Conduct Tribunal (CCT) and swore in Justice Ibrahim Tanko Mohammed, the most senior Supreme Court Justice, as the acting CJN. According to the president, the suspension was as a result of the ongoing trial of Onnoghen by the CCT and subsequent order of the tribunal directing him to suspend the CJN, pending the completion of his trial. The PDP had earlier released a statement to reject the appointment of an acting CJN. The party in the statement described the President’s action as unnecessary adding that there was no point in campaigning to contest in an election whose very basis had been undermined. “The basis for this election is the democracy itself. When democracy comes under this kind of virulent attack, then the election itself becomes superfluous,” the statement said.